Get away from the crowds, make the most of untouched slopes with amazing views over the MT Blanc Massif. The best time to go ski touring is from January to April. 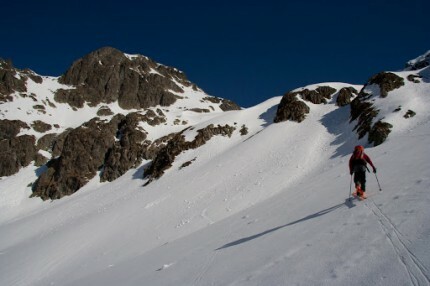 Below are some examples of ski touring at Trient. Massif de la Pointe Ronde : South East from the Forclaz pass. Massif de l’Aiguille de Balme (Croix de Fer), the hishest point of the valley. Great descents to the Chamonix Valley to Le Tour. Massif du Bel-Oiseau Emosson : above the Swiss village of Finhaut rewarding with great vies over the Mont Blanc. Some itineraries can be seen on the topos of C.A.S., Ski Alpin 3 Valais.